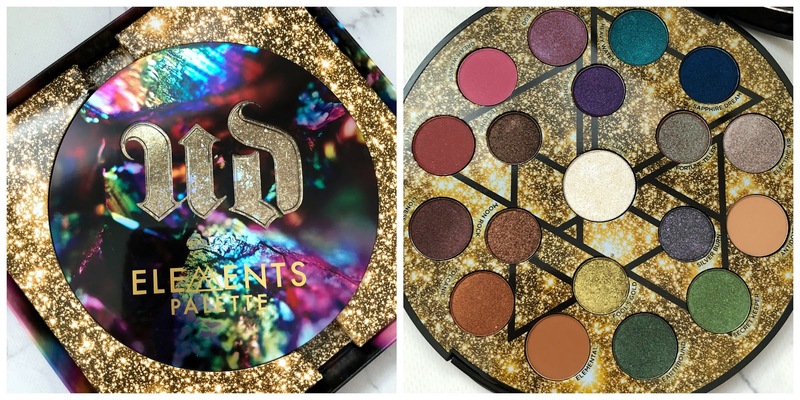 Just in time for the Holidays, Urban Decay has launched its newest baby, the Elements Palette, which retails for $65 cad and contains 19 never seen before shades. The collection also includes the Travel-Size Elements Space Powder for Face and Body, which retails for $15 cad - it makes for a great add-on this Holiday season since you can dust this beautiful golden finely milled shimmer on the body. If you're going to any parties this Holiday, brush this on your shoulders, legs and decolletage to achieve that radiant glow. I have all the shadows swatched for you below, and have created 3 make-up looks for you using the palette. If you're interested in seeing them, then keep on reading below! The formulation of these shadows are beautiful, as expected - the metallics perform true to what they're known for in the past. Buttery, foiled and pigmented. The mattes are okay - it was a bit drier than I was used to when swatching it on the hand, but when applied to the eyes as a crease color you can see that it blended well - the shade Dream Weaver and Fire Starter was a bit dry and patchy as you can see on the arm swatch above, but again, when blended out on the lids it was fine. The metallics worked beautifully on the lids - the looks I created below didn't even require me to wet the brush before applying the shades to the lid, which is remarkable. 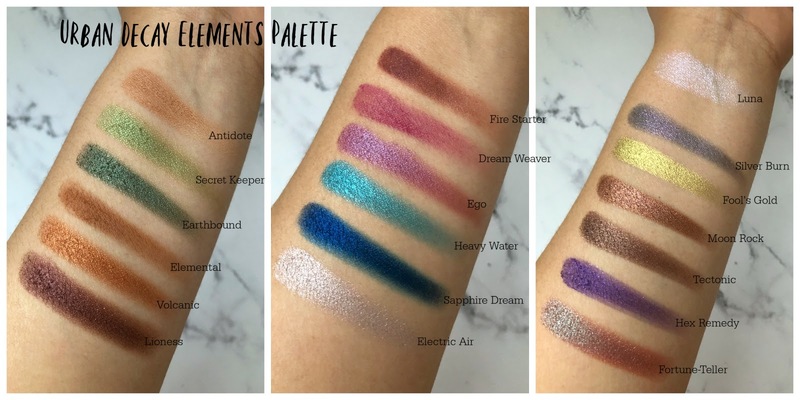 This palette has great transition shades, as well as shadows to create both a neutral everyday eye or a bolder look, whatever your heart desires. In addition, there was no fall-out as well when using the shadows. As for the design of the palette - I really like how there is such a large variety of shadows to choose from - 19 shades is very generous and as for the fact that I don't remember when I really ever hit pan on a palette (except for the original Urban Decay Naked palette), these pan sizes are more than enough for me. The packaging is a nice thick plastic with a snap closure (great for travel so it won't pop open) and inside has a full size mirror. For the looks below, the shades i have used are listed under each look. 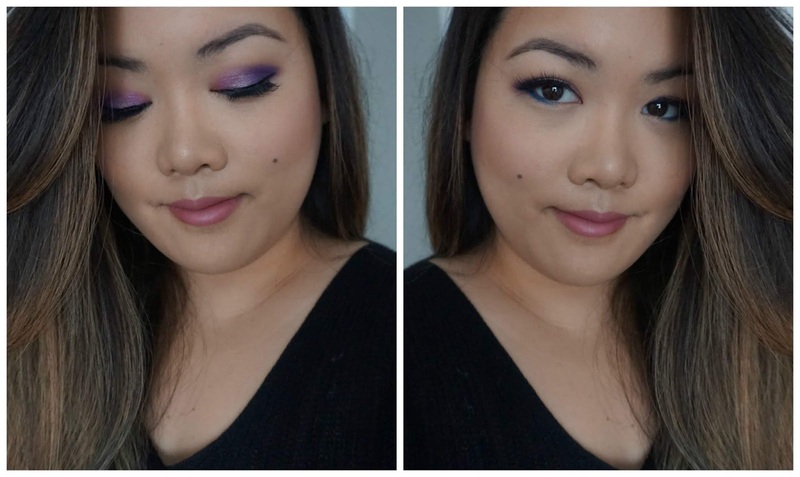 As mentioned, this palette can be used to create a neutral eye to something bold so I have done both here for my lovely readers! 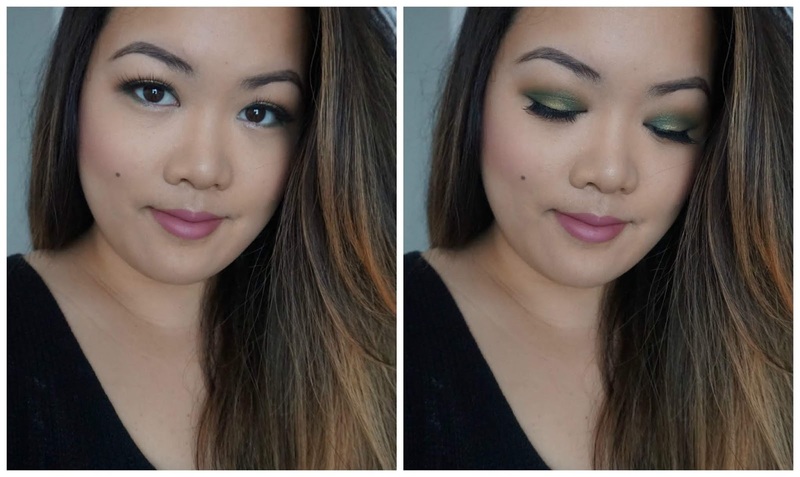 Accent in the middle: Fool's Gold was used with my finger to dab right on the center of the lid to complete the halo eye look. Accent in the middle: I dabbed Luna on the center of the lid to create some dimension. 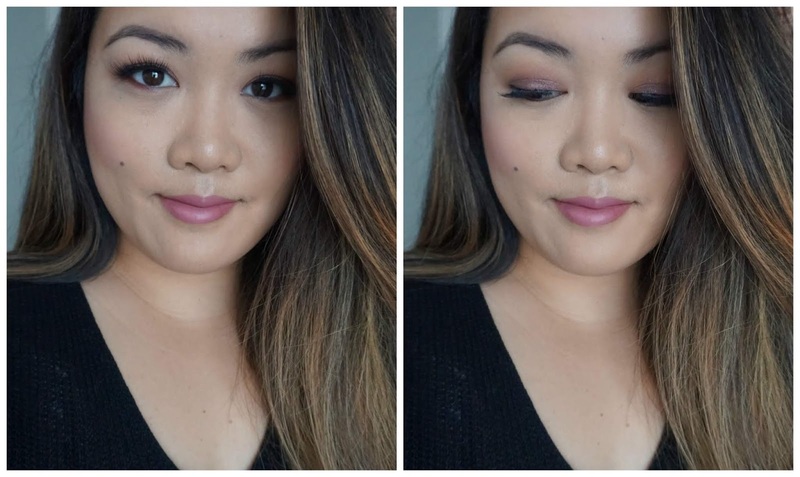 I hope you enjoyed the three looks I have created for you! 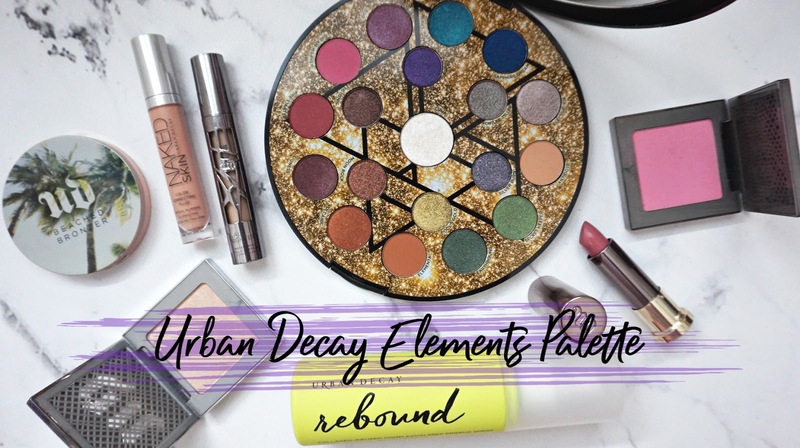 If you're interested in knowing what other products from Urban Decay I have used in this look, then I have them listed below! Gorgeous - as per usual! Hows the lasting power on them? i applied them without a primer so i'm pretty happy with it! lasted the afternoon without creasing either - the mattes: fire starter and dream weaver were a bit dry and patchy but blended on the lid fine! how was it for you? You got so many good looks! So pretty!